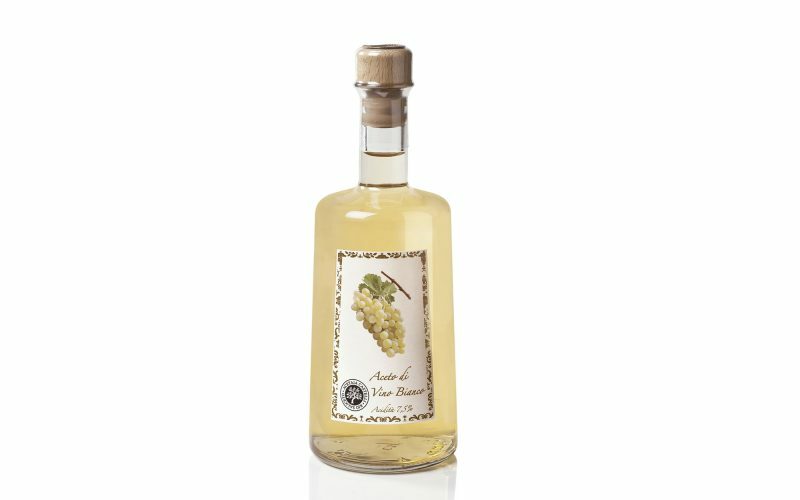 White wine vinegar “CASTELLI” is a product made with the best “Trebbiano grapes”, acetified and aged in oak barrels. It’s peculiarity is to preserve the dish color giving aromas delicately sour. How to taste it in our daily cooking: perfect for salads, cooked vegetables, fish and white meat. Ingredients: White “Trebbiano” grapes. The vinegar ages in oak barrels to refined taste and aromas, making it more harmonious. After a slow filtration it is bottled without any further treatments. The procedure is therefore extremely natural.